Wilder Ranch Farm Animal Program Volunteers Needed! Growing up in a family with two or more siblings certainly makes for rivalry, in-house playmates, lots of interaction, and the necessity to resolve issues; if you're a single child, you can get some of that kind of emotional relationship practice with friends at the park and in preschool and school. Of course this has been occurring for milennia, but now there is scientific evidence that the emotional quotient is more critical to life success than intelligence quotient. This exciting idea of there being an actual emotional intelligence immediately resonated with many parents and educators. Books immediately appeared in bookstores, offering advice about how to raise your child's EQ (emotional quotient) alongside his IQ. In many schools, this created a shift from focusing on academic achievement to embracing the social and emotional development of the whole child. Research has shown, time and time again, that children who have developed good social skills and self-regulation tend to be more successful in relationships with their peers and have better strategies for learning. For example, researcher Dr. SA Denham, from GeorgeMasonUniversity, found that even very early in the preschool years, children's levels of emotional competence were an indicator of how well they would cope in kindergarten and would have long-term implications. (ii) Daniel Goleman took this one step further: he concluded that not only will emotional competence be an indicator of social success, but it is of greater importance for all manner of future successes than any other measure of intelligence, including IQ. We're looking for volunteers to help feed and tend to the resident animals. Families are welcome! Do you love Wilder Ranch and have a big heart for animals? Then do we have the opportunity for you! 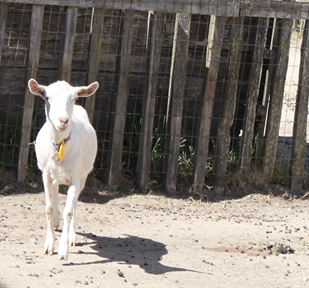 The Wilder Ranch Farm Animal Program is looking for volunteers to help feed and tend to the resident animals. Families are welcome! Children between the ages of 6-18 are encouraged to volunteer as long as they are accompanied by a parent or guardian while volunteering. This is a long term volunteer position as the animals grow very fond of their caretakers, with the minimum commitment being 6 months. There are several shifts available with morning and afternoon feedings. 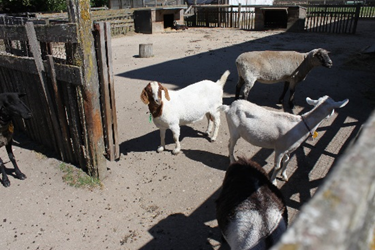 Prior animal experience is a plus, but you will be thoroughly trained by Animal Program Coordinator Sunny Schacher on your duties as a caretaker, and introduced to the goats, sheep, chickens and other animals that reside on the ranch. Wilder Ranch Visitor Center at (831) 426-0505. If there is nobody available to pick up the phone, please leave a message for Sunny and she will return your call as soon as she is able. The Explosive Child by Ross Greene has been on my reading list for a long time. I regret that I didn't get to it earlier, though reading it now, when many of the other difficulties in our household have been ironed out, has been good timing. Greene, who is a clinical professor of psychiatry, starts with a simple thesis that many families with sensitive, twice-exceptional, ADHD, learning disabled, or emotionally volatile children figure out over time: the usual parenting strategies don't work with these kids. Many of us have taken a journey in this regard. We start out looking for help from standard parenting manuals, friends with typical kids, or even professionals. They have great ideas, but for some reason our kids are different. Greene speaks directly to parents who feel like they've tried everything, and he points out that most of the solutions we've heard about boil down to two approaches. What he calls Plan A is otherwise known as authoritarian parenting; this is the "Because I said so" approach. Greene notes that even milder-sounding terms like "consequences" are a form of Plan A, because they don't take the child's point of view into account. What he calls Plan C is the opposite: just giving in and letting explosive kids get their way. This permissive approach often seems easier in the short term, and Greene acknowledges that sometimes it's a necessary part of getting through the day. Though most parenting books don't advocate permissiveness directly, they do often counsel parents to offer understanding and support to their children in the midst of a tantrum, without giving any guidance for addressing the root causes of the behavior, as typically developing children will usually outgrow tantrums without intervention. Greene's interest is in helping parents put together a plan that not only addresses the root of the problem but also helps the child learn valuable life skills in the process. Neither Plan A nor Plan C fulfills these criteria, and in fact, both approaches can damage a volatile child's chance of developing into a healthy functioning adult. Greene's Plan B isn't easy. First of all, he acknowledges that it pushes a lot of common parenting buttons. Most of us harbor deep suspicions about letting badly behaving children "get away with it." Also, we have immediate goals, such as wishing our children to be polite in public, that Plan B will put off for a more distant time while we work on our own responses to our children's behavior. And, he admits, Plan B can be hard for our extended community, such grandparents, teachers, and adult friends, to buy into. But the great thing about this book is its watertight argumentation: no matter what your resistance to moving to this new-difficult-mode of dealing with your child's explosive behavior, Greene has a thoughtful, empathetic response. I can't vouch for the longterm success of Greene's approach in my own parenting life, as I just read the book and am working slowly to implement changes in my own responses to common situations in our household. But I can say that as I read this book, I kept saying, "yes," "yes," "yes," as Greene outlined the difficulties of raising a volatile child, and solutions that are at once sympathetic, humane, practical, and based on the longterm goal that we all have: raising happy, well-adjusted adults. Suki Wessling is a writer, blogger, former English teacher, and homeschooler living in Coastal California. Links to her work can be found at www.SukiWessling.com. Check out her Parenting and Education Page on Facebook. Your cell rings, you grab it and hold it up to your ear. Which ear? Is it the same ear all the time? An interesting study was just published that sheds some light on this issue. Why does it matter? 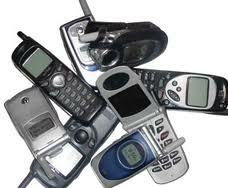 If the radiation from cell phones causes cancer, then the side you listen on should have a higher incidence of tumors. Are you right or left handed? More than 70% of the study participants used their dominant hand and held up the phone to the ear on that side for every call. These people are left-brain dominant, with their speech and language centers on the left side of their brain. More than 95% of all people are left-brain dominant. There should be no difference in hearing between the sides. The study started when a researcher noticed that most people used their dominant hand to hold the phone, even through it made it hard to take notes. Studies are not underway to look at the locations of brain tumors and correlate it to cell phone usage. I found this interesting. I consider myself ambidextrous. I generally write with my right hand so I hold my cell phone with my left hand, so I can take notes. Check and see. Do you always use your phone on the same side? Celebrate World Oceans Day at the Seymour Center! Ages: All Admission Fees: General admission fees apply. Please visit our website for details. Special Instructions: We are located at the end of Delaware Avenue. Celebrate World Oceans Day with us and connect with your ocean. Festivities for the day include ocean-themed games, crafts, and a community marine mural that you can help construct. Learn about new and exciting work with elephant seals, albatross, and animals in Antarctica. Long Marine Lab graduate students will be bring the newest science right to you with interactive presentations about their own research from all over the world. As part of our international spirit, we will offer information and tours in Spanish beginning on World Oceans Day, Saturday, June 8, continuing on weekend days throughout the summer. Connect with marine life by joining the fun, visiting our shark touch-pool, or just enjoy the view. Come celebrate being part of one world ocean with the Seymour Marine Discovery Center!